Robert N. Essick is professor emeritus at the University of California, Riverside. He currently holds a three-year appointment as a research scholar at the Huntington Library in San Marino, California. Karl Kroeber, Mellon Professor in the Humanities at Columbia University, has just completed a book on make-believe in film and fiction, and begun a study of children’s literature and environmentalism. Jason Whittaker is lecturer in English with media studies at University College Falmouth. 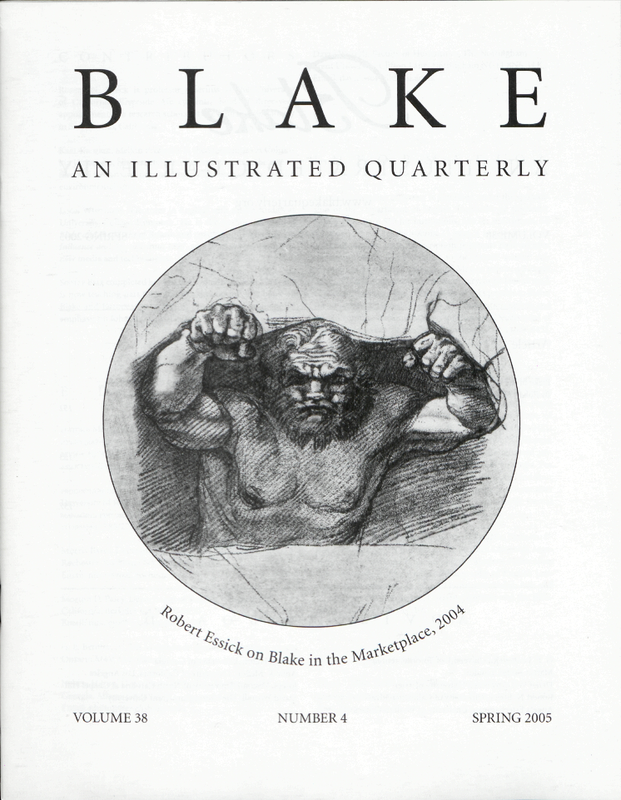 He is the author of William Blake and the Myths of Britain and coauthor of Radical Blake: Influence and Afterlife from 1827, as well as several books on new media and technologies. Sibylle Erle completed her PhD on William Blake in 2004. She is now teaching part time and working on her first book on Blake and European concepts of physiognomy, with special emphasis on Johann Caspar Lavater. Cover: “Hinc Terræ Tremor, hinc Motus,” detail. Etching/engraving by Blake’s master, James Basire. Photo courtesy of Max Reed. See pages 134-35.